Try this next time you are emergency a domain name. 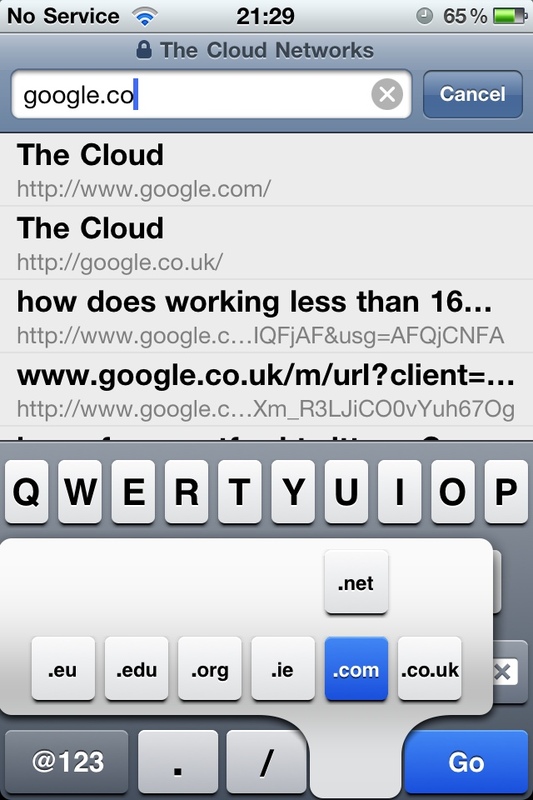 When you get to the .com or .co.uk ending, hold down the .com button for a handy auto complete feature. Next Next post: Onavo for iPhone, a real money saving app?